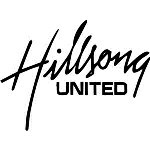 I love the song Cornerstone by Hillsong United. This song has particular meaning as Hurricane Matthew has crashed upon the southeastern coast of the States. My wife’s parents live in Jacksonville, FL, and we have many friends in Glynn County, GA, a place we called home for six years. Christ alone is the cornerstone – the one we can count on to hold us strong in the midst of storm. He is the one who can calm the storm or empower us to walk on water in the midst of the storm. Sometimes he removes trials from our lives, and sometimes he holds us up as we walk through the trial. Trials are bound to come. We are either currently in a trial, just come out of a trial, or about to enter a trial. That’s life in a fallen world. But, we have an anchor to keep us steady as the heavy winds and fierce storms of life come. May we all experience His amazing and unchanging grace. May we all see and know his love and protection. Praise God, my family and friends are safe in the aftermath of Hurricane Matthew. Let’s continue to lift up the many that are suffering and recovering from this storm.